Join us for two rounds of 18 holes in Delaware County. FIRST round is at the beautiful McCulloch Park located in Muncie, IN. 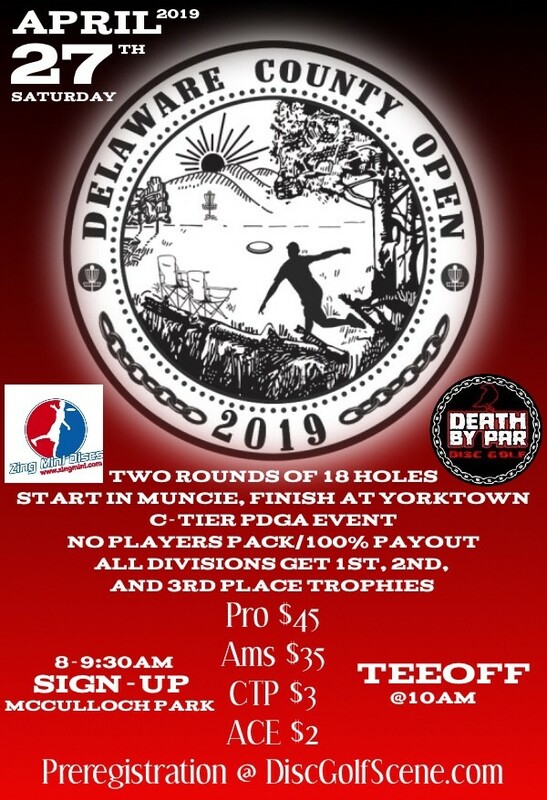 The SECOND round is at the always eclectic Carl Scott DGC located in Yorktown, IN. 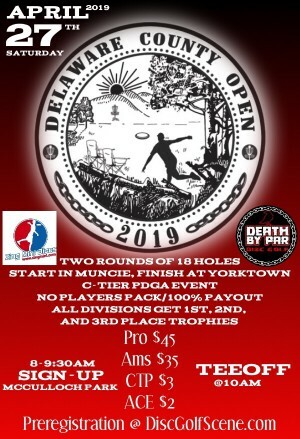 This is a PDGA Sanctioned C-Tier Event with a small players pack. We will be changing the mold and distribute 3 trophies per division for 1st, 2nd and 3rd place.